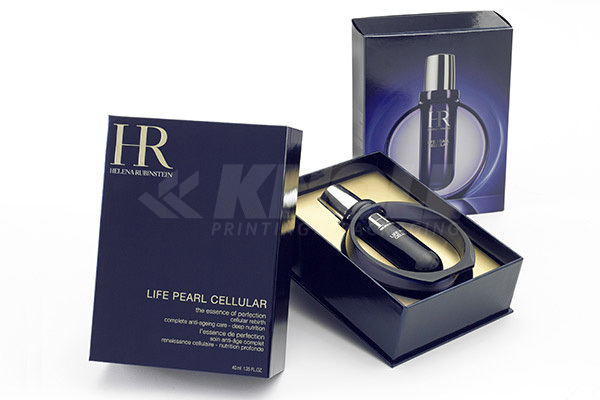 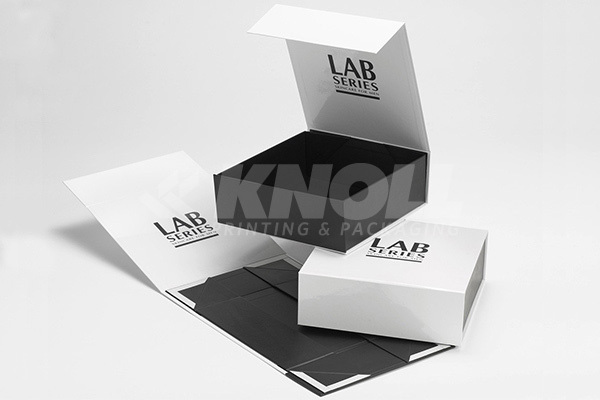 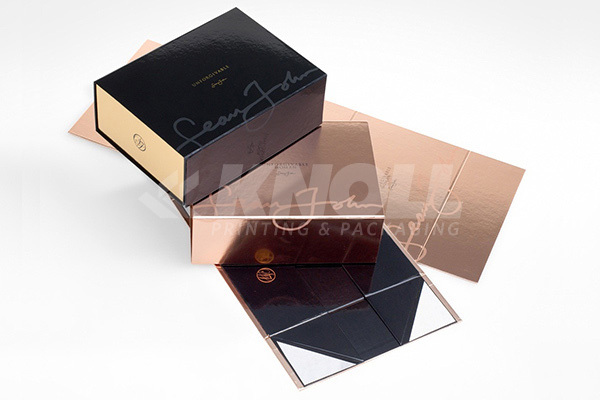 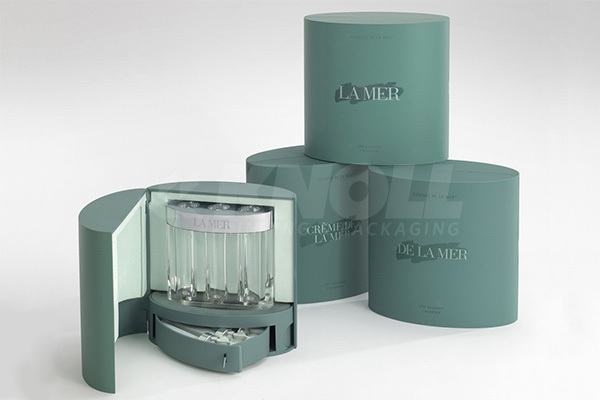 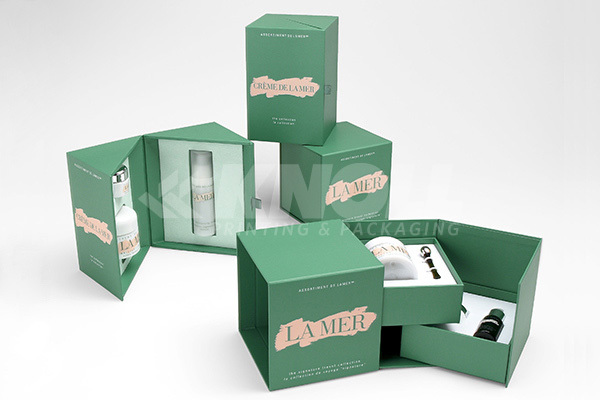 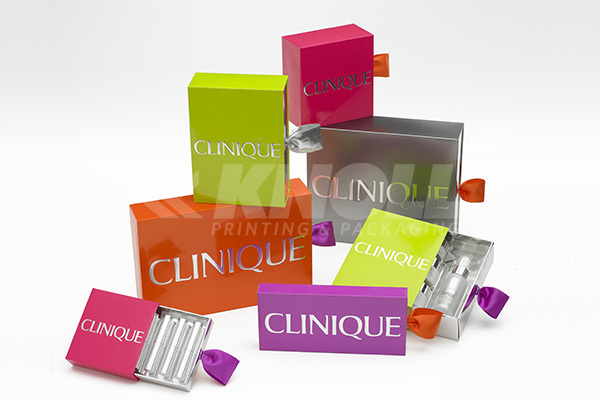 Products - Knoll Printing & Packaging Inc. 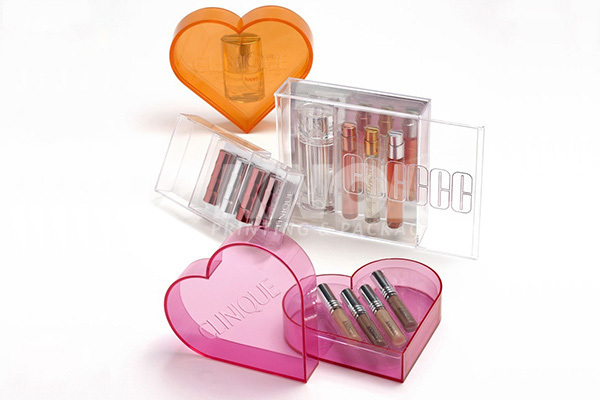 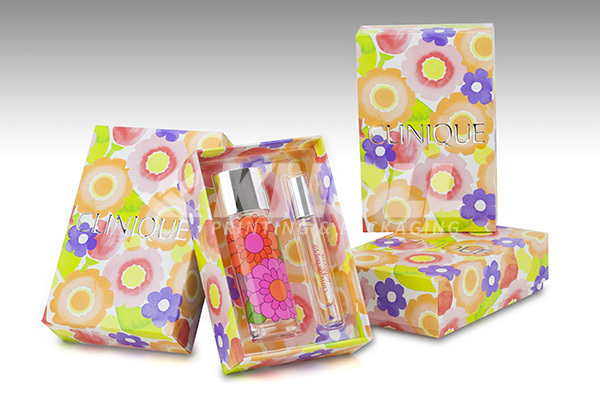 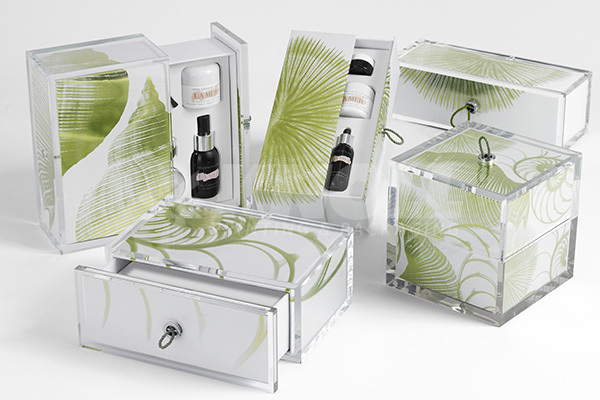 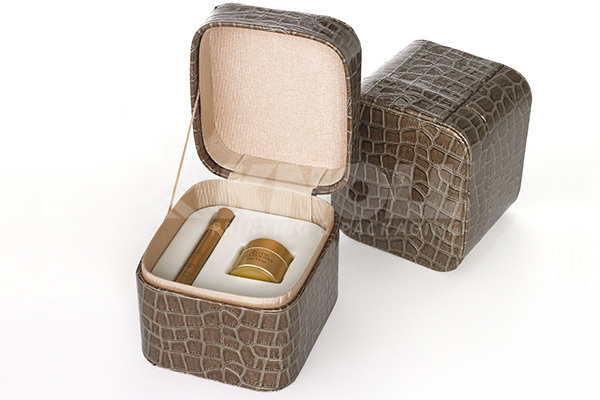 This beautiful coffret contains two hinged doors with magnets creating a comfortable snap fit when closing the doors. 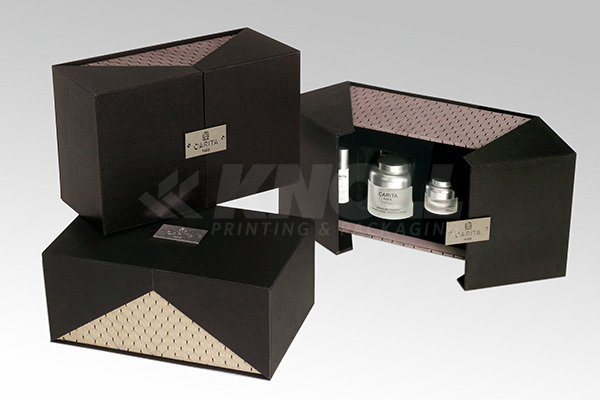 The product sits in a high density black EVA foam platform, which also protects the products from damage. 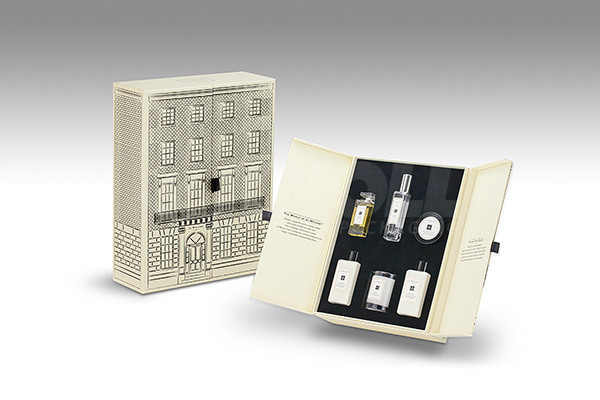 This coffret is printed front and back in the style and architecture of the Jo Malone "home" in London. 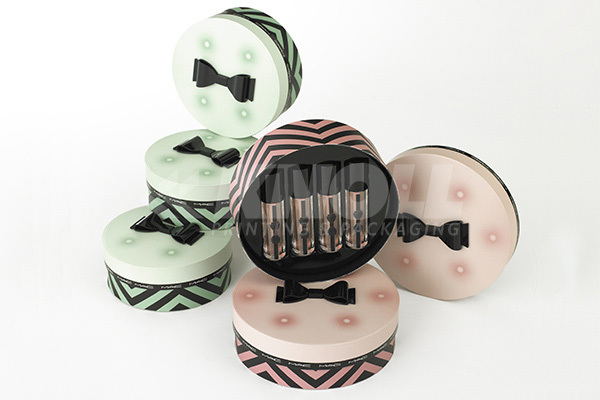 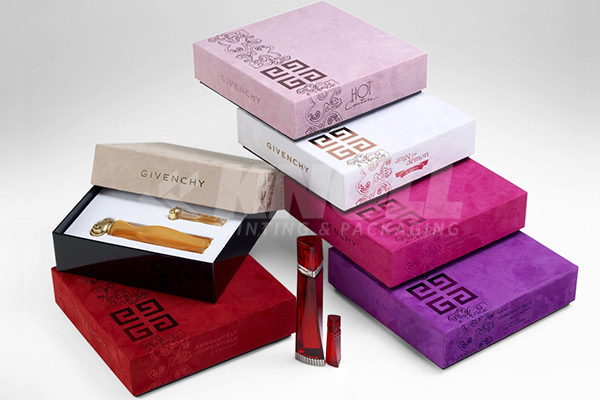 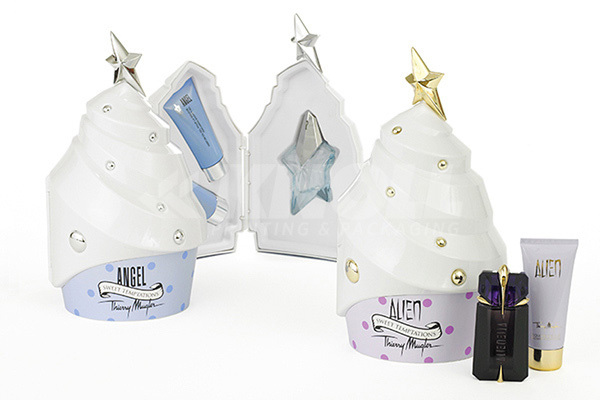 By using the ribbons, each of the doors may be opened revealing the products inside. 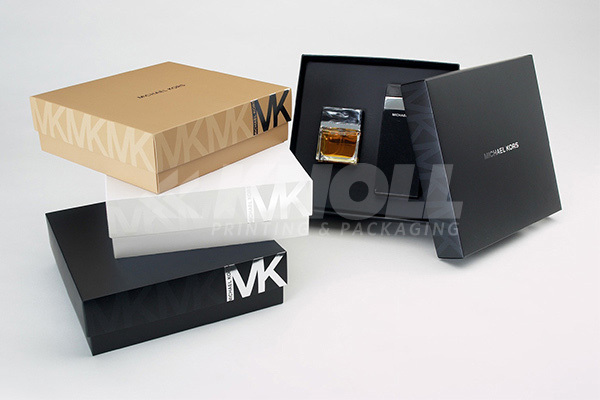 Products are held by a high density black EVA foam, finished on the surface with a black faux suede. 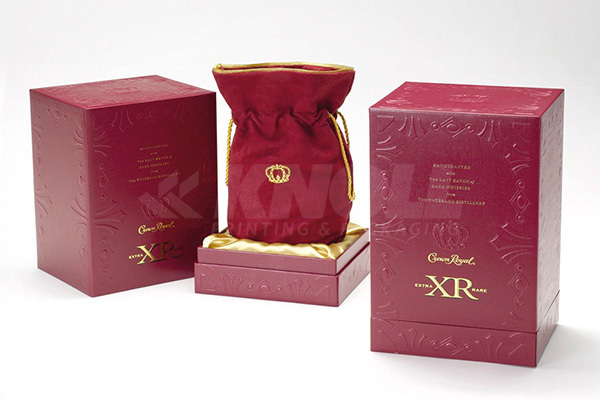 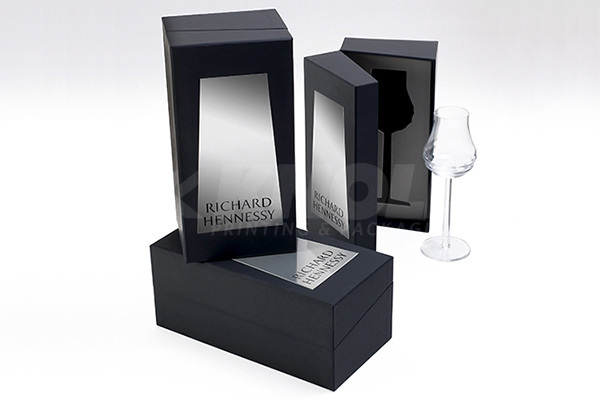 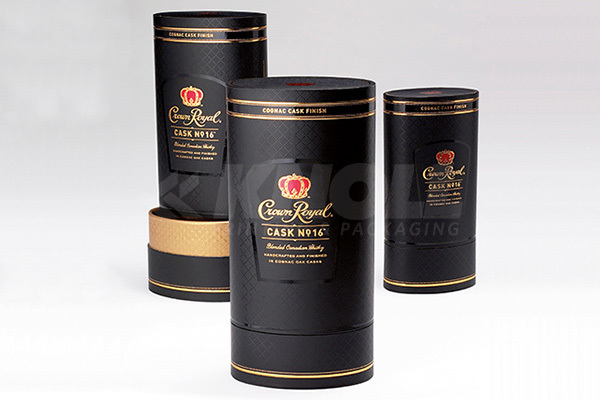 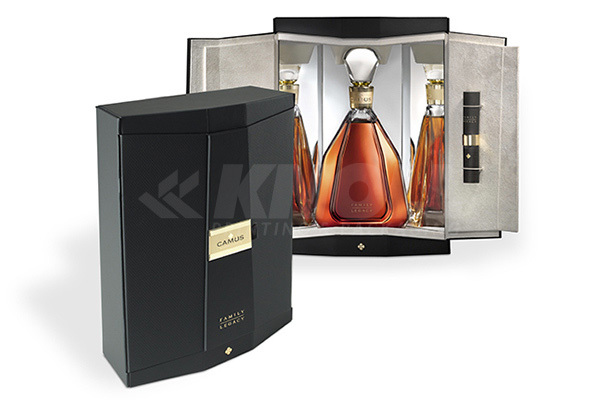 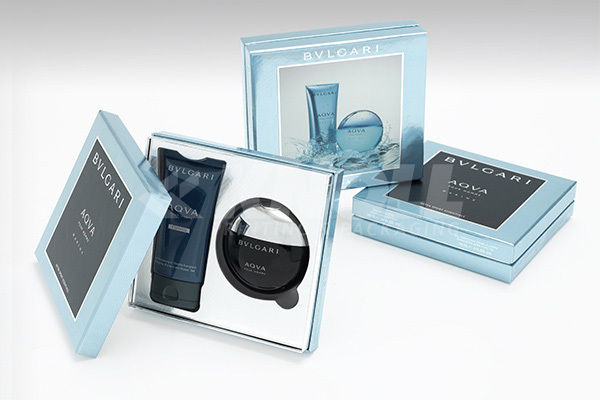 This coffret is both refined and elegant. 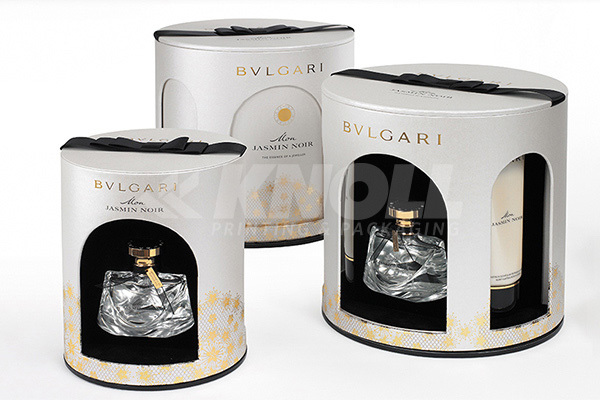 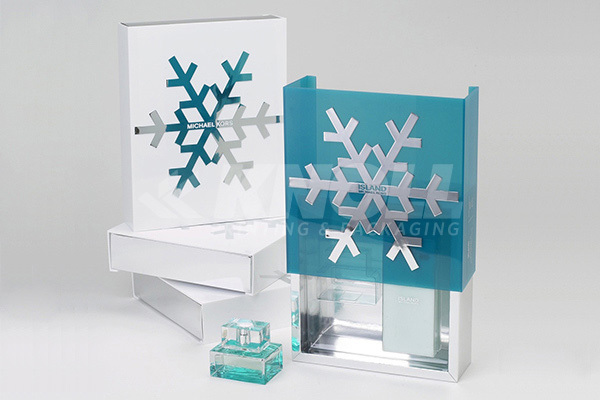 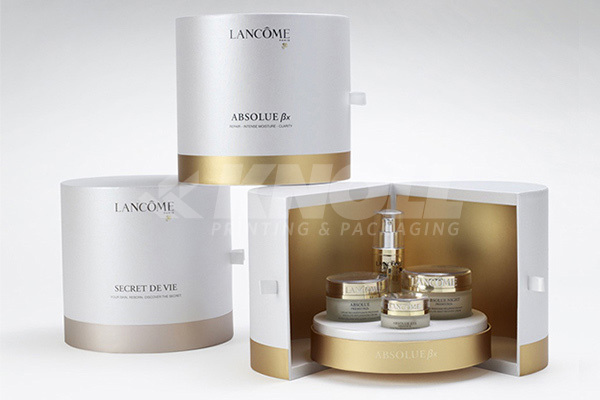 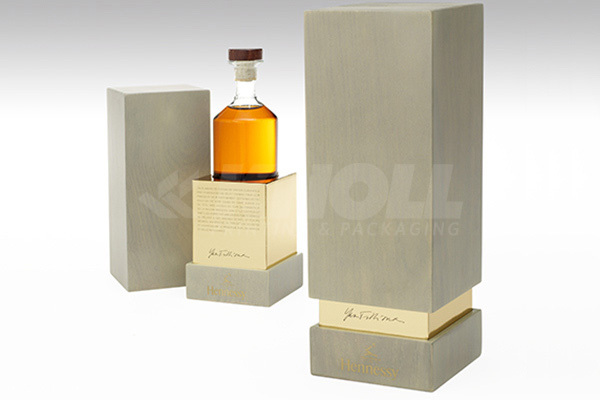 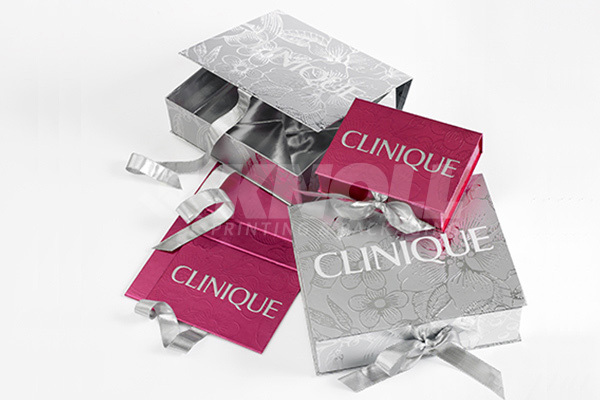 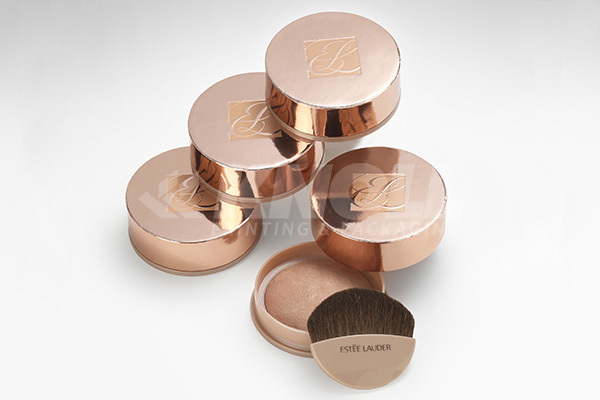 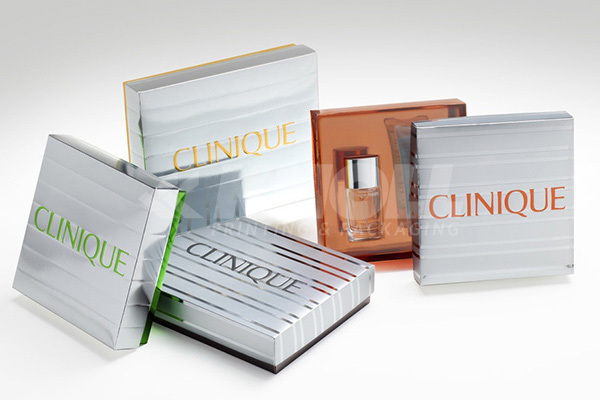 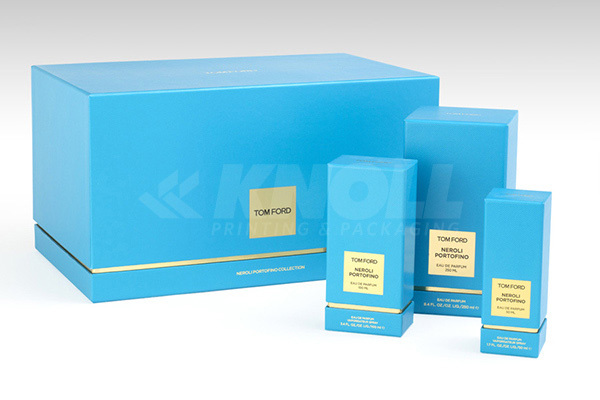 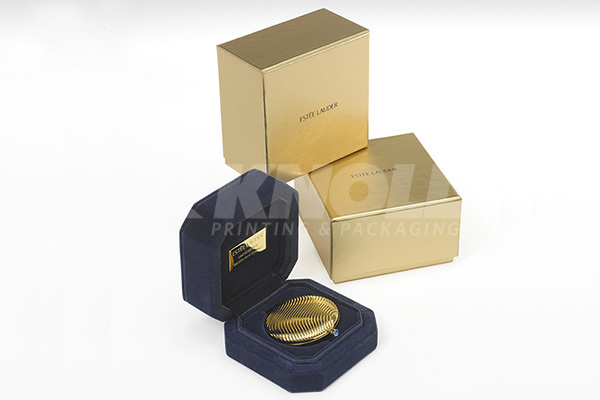 A rigid tray and vacuum form with gold mylar maskholds the product, the tray is encased in a rigid sleeve, wrapped with a mylar paper printed solid blue, 4 color process printing and embossed logos. 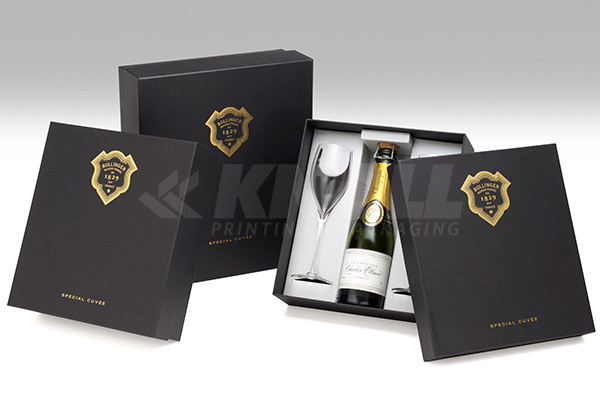 This signature line is wrapped with custom embossed paper. 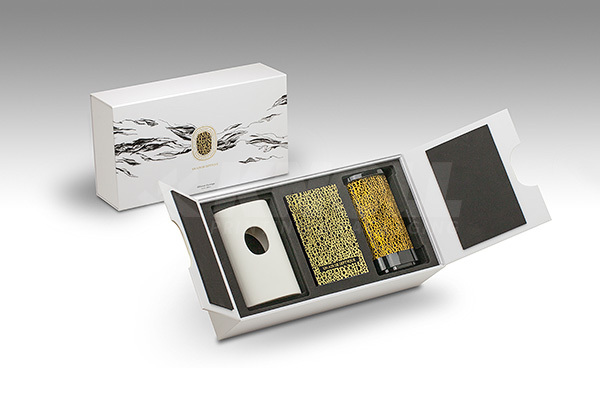 The box and cover has a gold neck reveal. 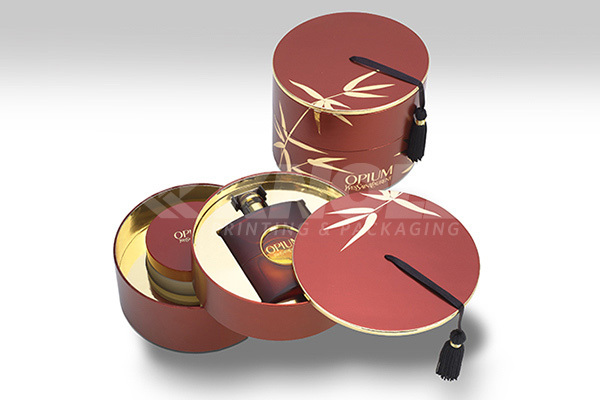 There is a combination of gold mylar board platforms and flocked Eva platforms to hold the products. 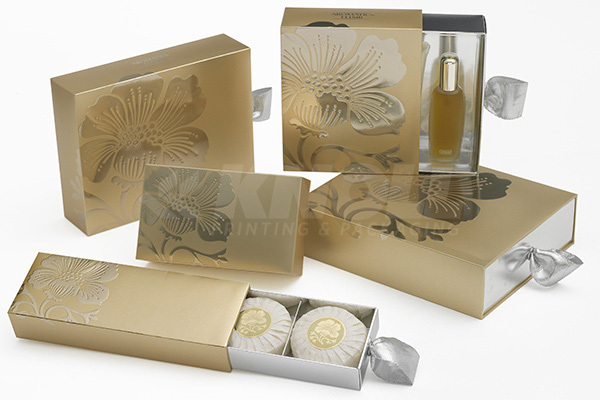 Decorated with a custom gold mylar label.